Irene W. White (83) passed away March 29, 2015. She was born in Pamlico County, NC on Feb 28, 1932. She was the daughter of the late Charlie and Reba Whitaker White. In addition to her parents, she was preceded in death by her husband of 44 years, Richard Moye White, Sr. and sisters: Pearl W. Dockery (Norfolk, Va); Margaret W. Paramore (SC); Eleanor W. Payne (Franklin, Va); Half brother, Odis Whitaker (Robersonville, NC). Surviving are daughters: Mary W. Lancaster, Raleigh, NC; Michelle W. Davis (Frank), Red Oak, NC; Melinda W. Boseman (Dean), Stockbridge, GA.; sons Richard M. White Jr., Belhaven, NC; C. Michael White (Melody), Nashville, NC; Marshall L. White, Canton, MS; Rev. Mitchell L White (Virginia), Huntersville, NC. ; 12 grandchildren, and 14 great grand children. Also surviving are sister Ann B. Bryant (Harold), Battleboro, NC; brothers Vance White (Marion), Barker, NY and Durwood White (Ann), Huntsville, AL; Sister-in-Laws Hazel T. White, Virginia Beach, Va.; Marian Tronvig, Santee,Ca. 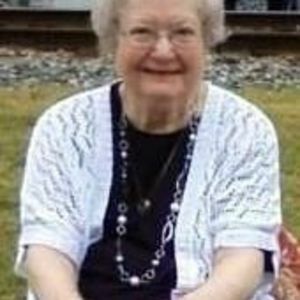 ; and Christine Whitaker, Robersonville, NC; Brother-in-Law, Arthur Dockery, Norfolk, Va .
Irene grew up in Bethel, NC and retired from CSX Railroad after 28 years of service. She accomplished a major goal in her life when she earned her Associate of Arts Degree from Nash Community College in 1994, 45 years after graduating from Bethel HS in 1949. As a legacy to her children, in 2007, Irene wrote and published her autobiography, “Goodnight, Irene: Growing Up As I Saw It”. The family would like to express a special thanks to Dr. Daniel L. Crocker, Dr. Edward Kim, their staff and the entire 3rd floor staff of Nash General Hospital. Your love and care of our mom has been an overwhelming blessing. Flowers are welcomed. However, in lieu thereof, donations may be made to Red Oak Baptist Church, P.O. Box 260, Red Oak, NC 27868 or to Lake Forest Church, 8519 Gilead Road, Huntersville, NC 28078. Services will be held at Red Oak Baptist Church, Wednesday, April 1, 2015 at 2pm. The family will receive visitors starting at 1pm. Burial at Rocky Mount Memorial Park immediately following the service. Service performed by Rev. Larry Bostian and Rev. Mitchell White. Funeral arrangements by Johnson Funeral Home.